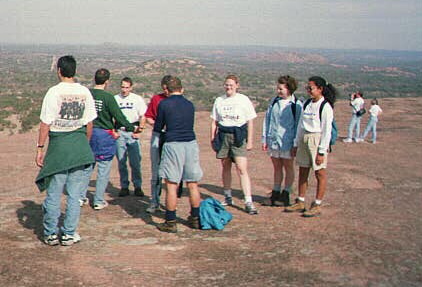 From time to time, we will go to Enchanted Rock State Park. 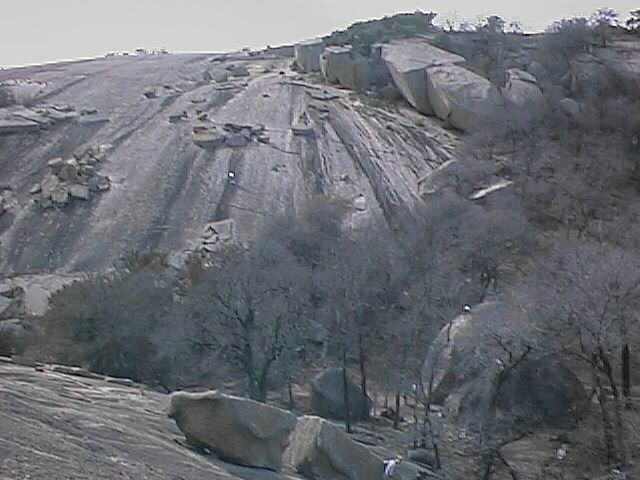 If you've never seen it, it is really a great big rock formation out in the middle of the Hill Country. You can hike and camp in the park. Afterwards, we usually go to Fredericksburg for good old fashioned German food. I know Ruben and I had some of the same pics, but for the life of me I can't remember if the first 2 pics are his or mine - so it's entirely possible that Ruben took the first couple of pics, and if so, I thank him for allowing me to keep them on my page. This is looking across to the second rock formation. 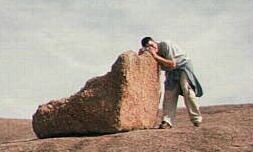 I was about 1/2 way up the main rock. 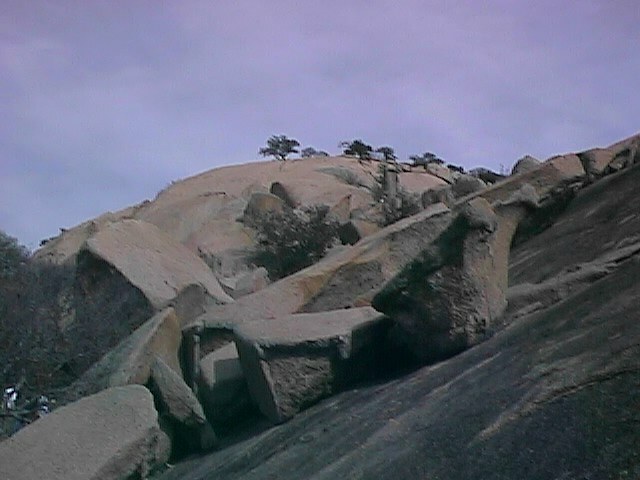 A better look at some of the rock formations. Once we got to the top, we stopped to take a look around at the surrounding countryside. Andy setting the timer on his camera to take a group pic. Andy & Jodi relaxing on top of the camper while they wait for the others to come back down from the rock. 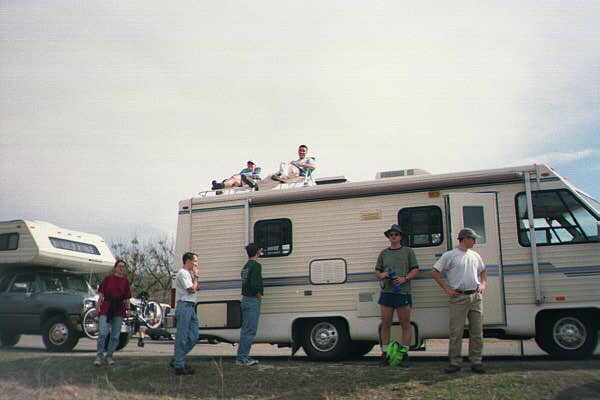 We caravaned out there, mostly in cars, but Andy had his parent's camper so a bunch of us rode out with him. As we take other trips out to the park, I'll try to get more pics up.